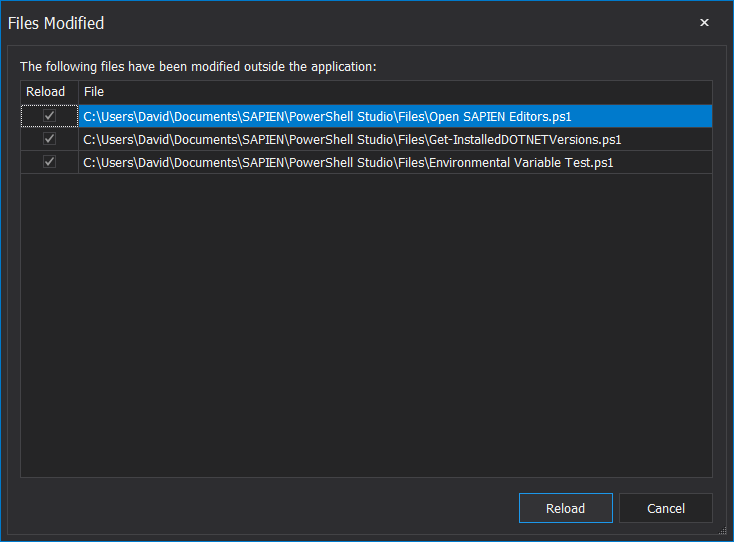 We released a new service build of PowerShell Studio 2018 (v5.5.153) This service build is included as part of the regular update cycle for our subscribers. 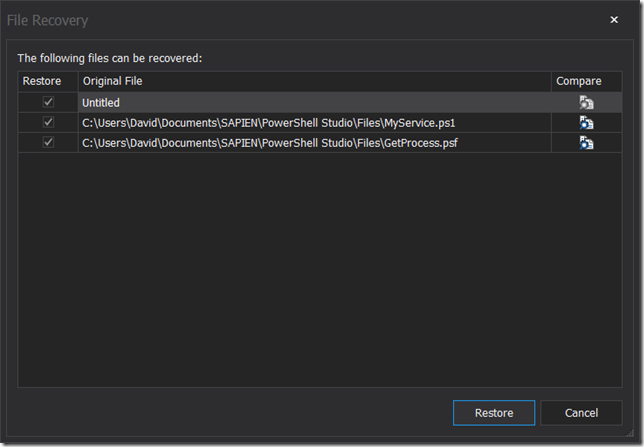 This service release adds Git support and includes a file recovery feature in addition to several other new features and improvements. 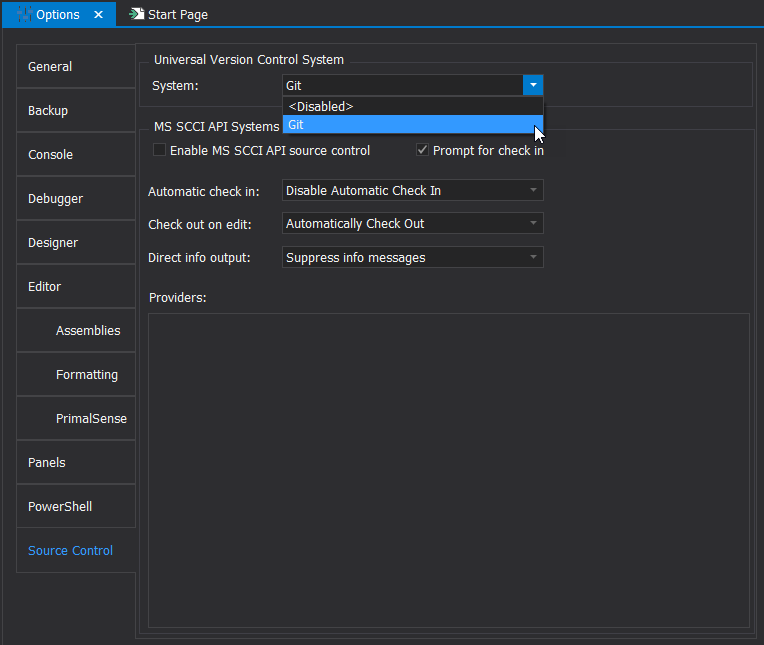 This service build introduces the new Universal Version Control system that allows any source control provider with command line tools to be configured with PowerShell Studio and PrimalScript. 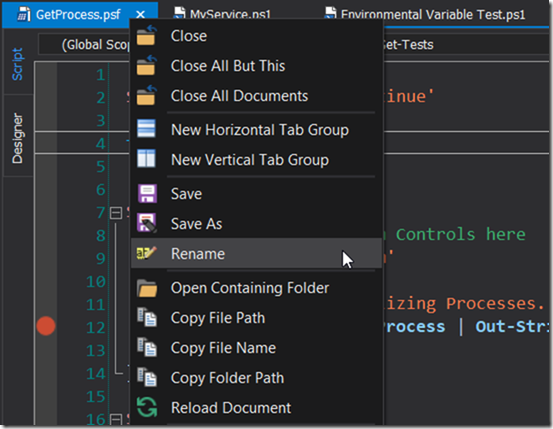 This service build includes support for the Git source control system. We will eventually expand support for other providers as the system evolves. 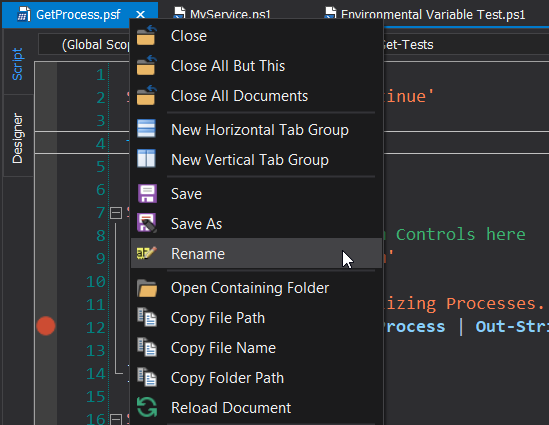 To disable the Universal Version Control feature, select <Disabled> from the System drop-down. Note: We still support traditional MS SCCI providers. 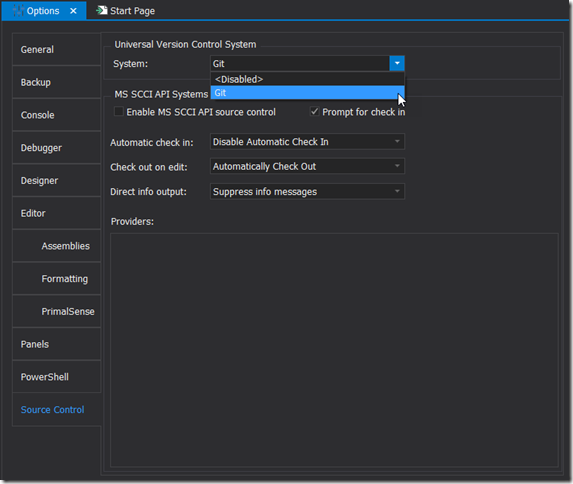 Since MS SCCI providers support is dwindling, the interface will eventually be replaced with a Universal Version Control configuration. 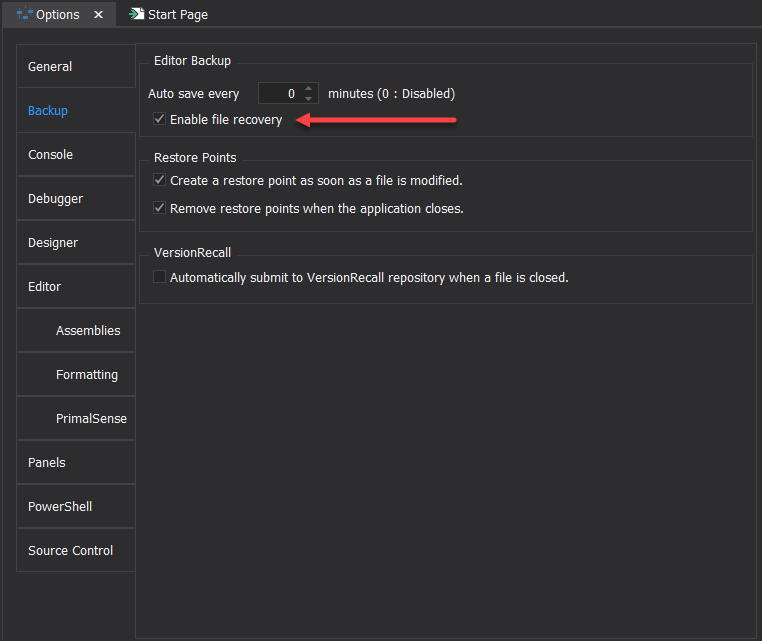 Important: After the recovery, the changes are not committed until the user explicitly saves the modified document. Once the file is saved, the recovered indicator will be removed from the document’s tab. How does this differ from the Auto-Save feature? File recovery will also track new unsaved files in addition to existing files. Unlike the Auto-Save feature, the recovery system does not modify the original file that is on disk. The original file is only modified when the user explicitly saves the file. 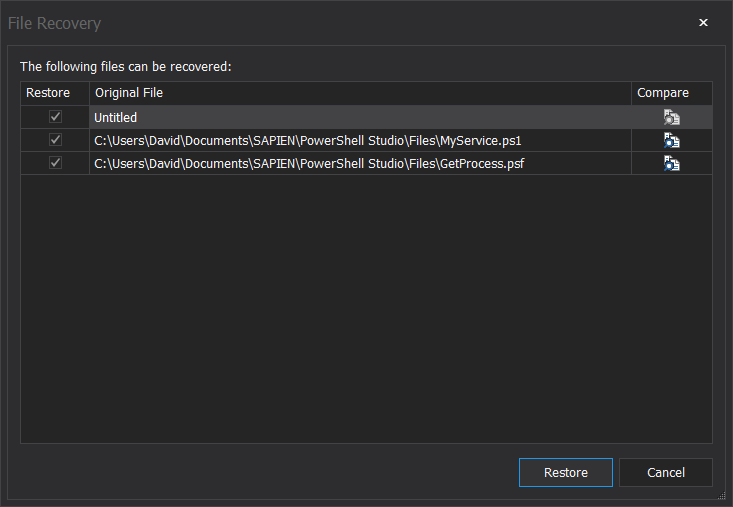 Note: PowerShell HelpWriter and PrimalSQL service builds also incorporate the new file recovery feature. We replaced the existing Debug panel with the new Tools Output panel. 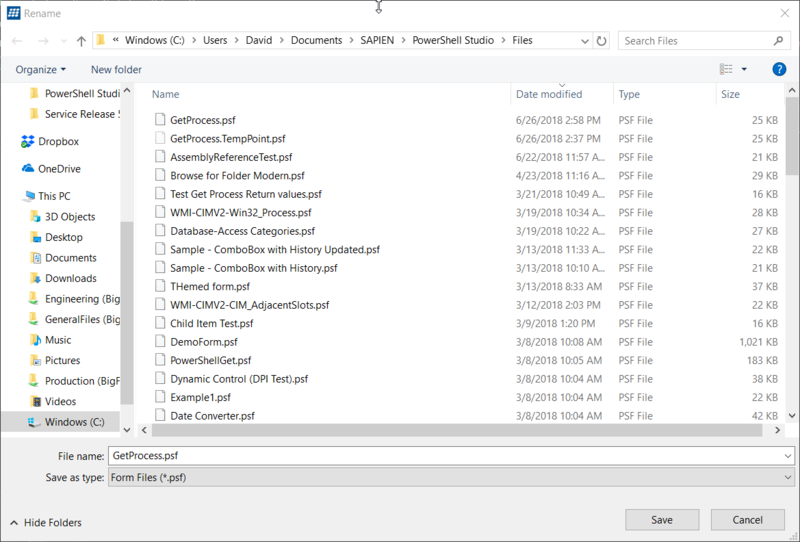 The new Tools Output panel will display output from any tool, such as the Universal Version Control system, Custom Menu, or the PSScriptAnalyzer module. Press the Save button and the file will be renamed. 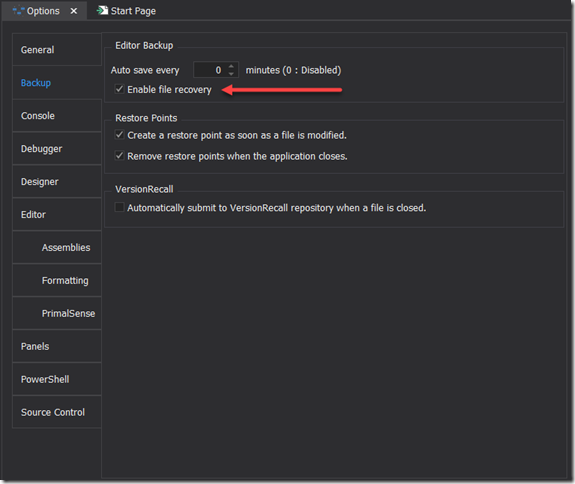 The checked files will be reloaded after you press the Reload button, and the unchecked files will not be reloaded. Each respective function is called by the engine whenever the service receives the pause or continue commands. You can use the original icon by selecting ScriptPackage Classic.ico from the list. 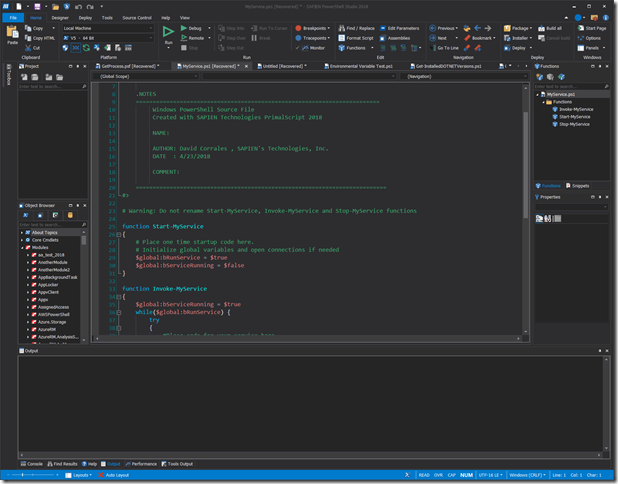 PowerShell Studio also supports an embedded PowerShell Core console in the Console pane. You can update the configuration in Options > Console. We added a ValueMember parameter to the Update-ComboBox and Update-ListBox help functions. 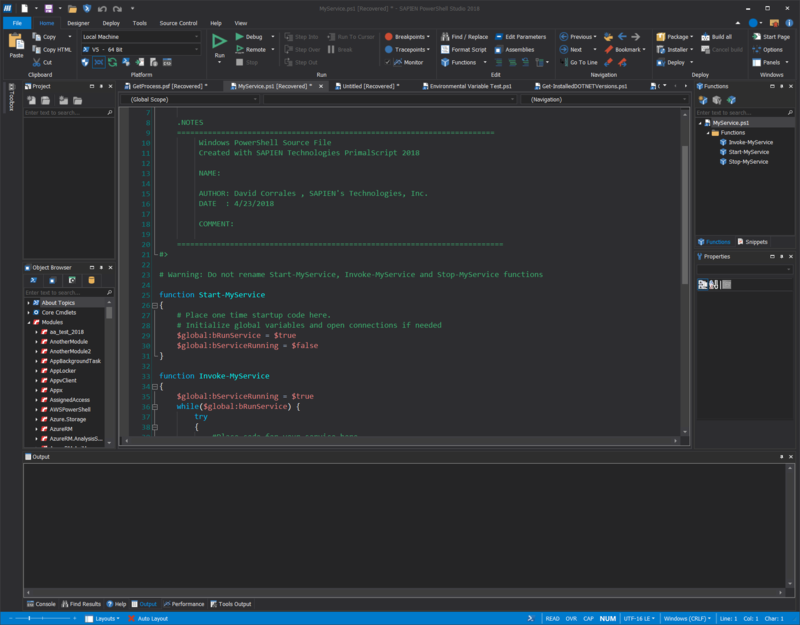 The ValueMember parameter determines which property the control will use to represent the value of the listbox or combobox. We improved the load speed of PowerShell Studio yet again and, as a result, we removed the splash screen. 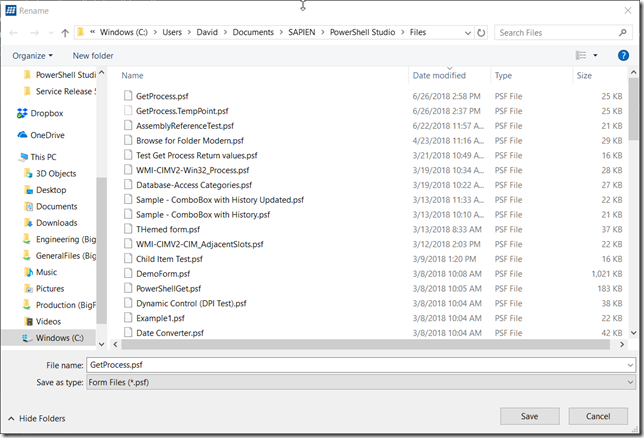 In addition, the application now uses less memory when loading PowerShell cache information. It’s about time! Seriously though, thanks!